The days get shorter, it gets darker quicker and you spend more time indoors. It's harder to wake up in the mornings. And your mood? well your mood is also darker and your energy levels are just not the same. Where am I going here? I want to talk about Vitamin D deficiency. Living up North, so far away from the equator does not help in these colder, darker months when it come to Vitamin D deficiency. 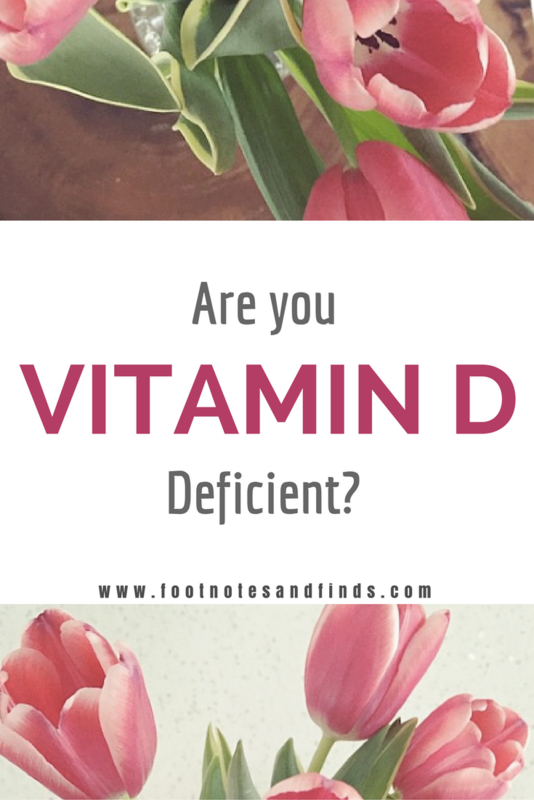 But you know what else factors in when it comes to your Vitamin D levels? The colour of your skin. Therefore, living in Canada, and having darker skin is definitely a couple of factors that contribute to my basically non-existent Vitamin D levels - I have NO Vitamin D - as in they couldn't even measure it when they did a blood test. "A factor associated with lower concentrations was, for some people, darker skin pigmentation. This is because it is more difficult for people with darker skin to get adequate vitamin D through sun exposure." This brings me back to the cold, dark winter days that are ahead of us. Although there is lots of mixed information out there regarding this, but Low Vitamin D levels also seem to have an affect on your mood. In the summer, when you tend to be out in the sunshine more you might not notice the changes in mood, but in the winter this becomes quite apparent. It might be that your mood disorders are being exaggerated or that you have Seasonal Affective Disorder (SAD). Any which way, I know, that for me I always noticed a drastic change in my mood in the winter months. Low energy levels and low mood, made winters feel really long and miserable. Having my birthday smack dab in the middle of winter (January) didn't really help either. For some odd reason, Vitamin D deficiency, was not on my family doctor's radar. But my specialist did rigorous blood work in which it turned out that my levels were so low that they couldn't even put down a number for Vitamin D on the report!! So my friends, I want to take this space that we have online, and tell you get your Vitamin D tested. And if you live up North, especially Canada, check out the guidelines of how much Vitamin D you should be taking - and then take it! Eat foods that are rich in Vitamin D ---> Eggs (yolks), Fish (salmon), Oranges, Cod Liver Oil etc. It's amazing how having deficiency in key nutrients, vitamins and minerals can have an overall affect on your health - both physical and mental. p.s. Another piece of advice i have received is to use light therapy in the winters, it is supposed to help with your energy levels, mood and sleep. Great post to read. I dislike winter in the UK, I do like December because of Christmas and the lights etc, but hate the months of January and February. It's always dark and I hate it. I always try and plan a holiday in January if I can, somewhere sunny, to break up the long dark winter. I am seriously thinking of moving somewhere sunnier, it's easier to live a healthy lifestyle and easier to be outside too. I need to get my levels checked too. Great post, I always get really down when the weather is bad in the winter. One Of The Perks Of Living In Egypt, is that I get to see the sun all year long and always get my share of Vitamin D.
Interesting post! I was extremely deficient on my last blood test.. Scarily low according to my doctor, and even more so because I am really light skinned. It kind of made sense though, but after taking high levels of vitamin d supplements my levels have improved! I never even considered vitamin d before... i didn't really understand how much it determined things, but having extremely low levels also affected my thyroid levels! Funny timing because I was told I need to start getting more vitamin D as well. There's actually a vitamin D spray I use (especially during winter) that's by Mercola and I find it really handy to help me get extra vitamin D when I'm not getting it from my foods or the sun! Some try all of the newest pores and skin remedies hoping that the next 1 would truly make them appear whiter and rosier.